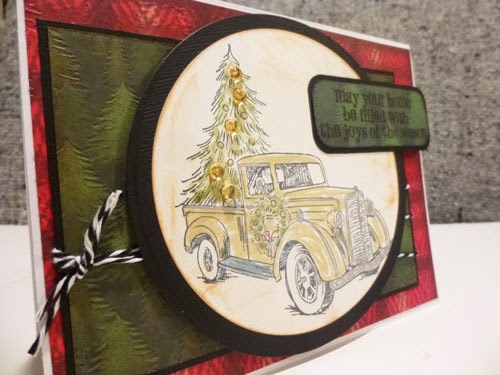 Amy here with a simple card and a video packed with variety of techniques. First tip: Be adaptable! Change the size, color, and materials according to what you have on hand. A picture is worth a thousand words, but a video lets you listen and watch! Step-by-step instructions are below, if you prefer to read. 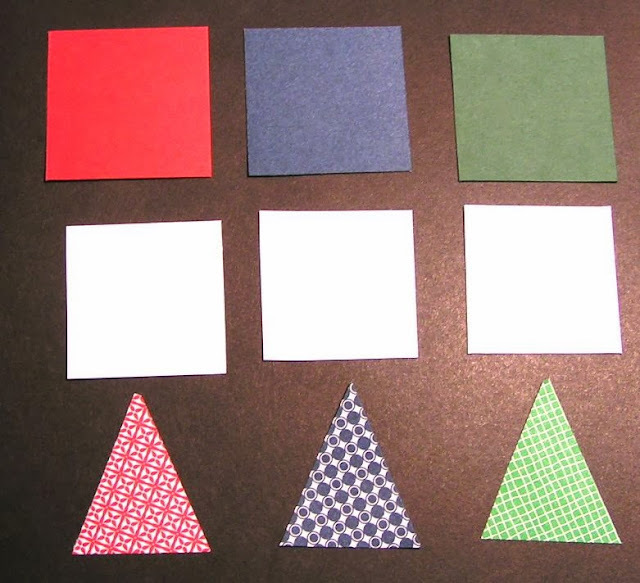 Cut white cardstock 1/8” smaller than the solid colored squares and glue to each solid cardstock square. This step is hard to describe but not nearly so hard to do! 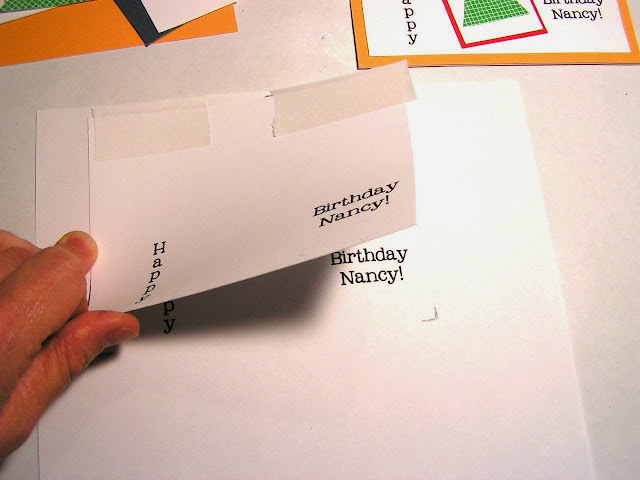 Cut white cardstock rectangle 1/8” smaller on all sides than the card. 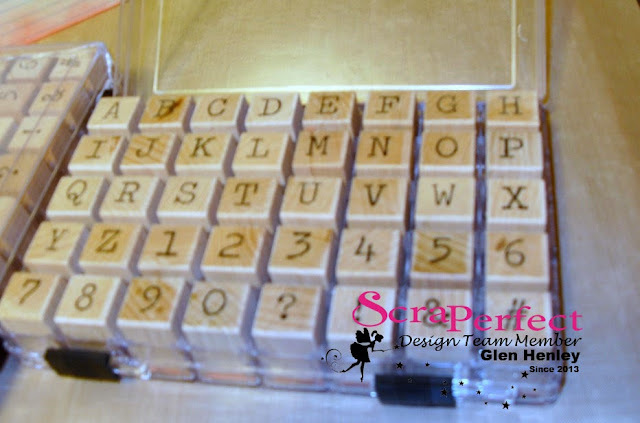 Place squares onto white cardstock rectangle in a pleasing arrangement. Decide where words will fit. 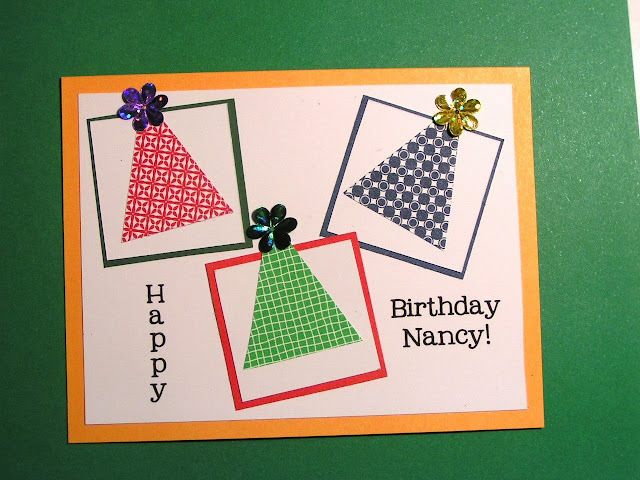 With word processing software, use text boxes to write the message “Happy Birthday, Nancy” (or whatever you want to say!). Move the text boxes until you think they are the correct distance apart and spaced correctly vertical/horizontally to fit onto the card. Print a draft. 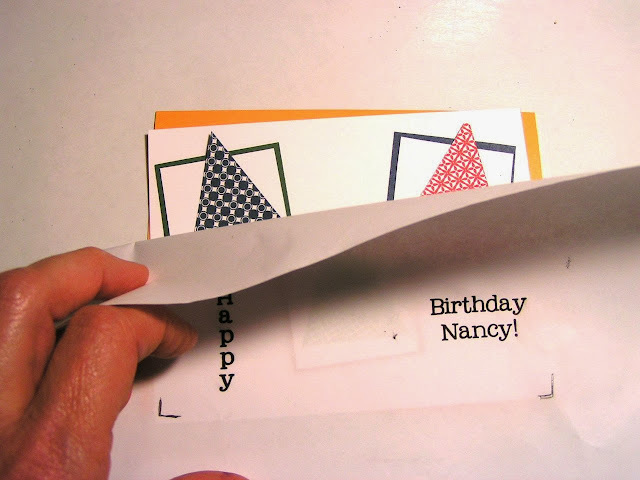 Place the draft printing on top of the card and look through it like tracing paper to check alignment and position of the words. 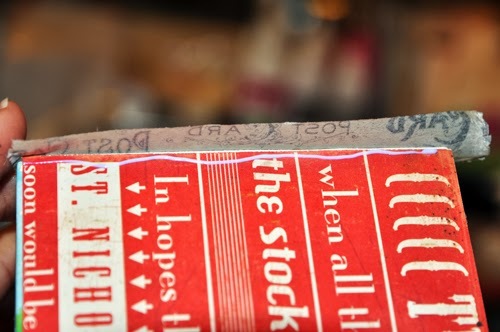 Use painter’s or Washi tape to temporarily adhere the white rectangle onto the printer paper at the correct location, using the pencil marks as guidance. 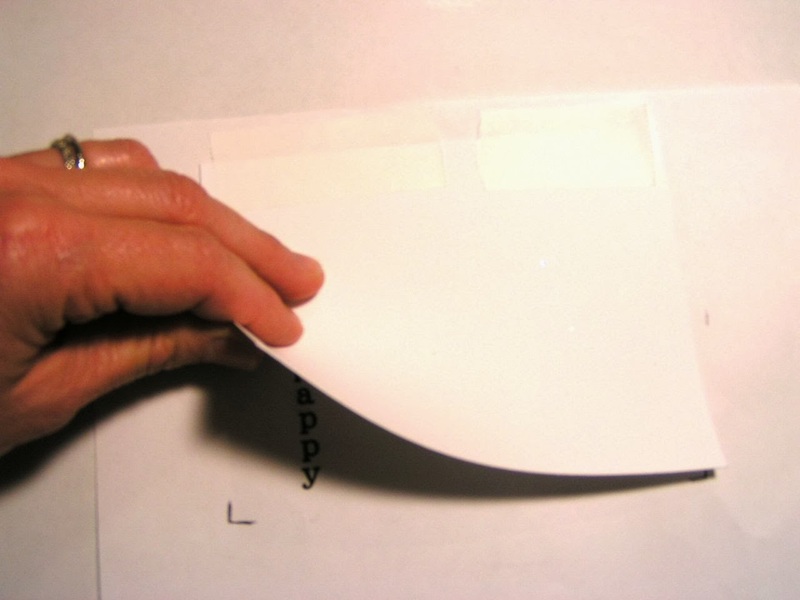 Reinsert the paper into the printer so it will print onto the white cardstock. Print with standard ink settings. Glue all the pieces and layers in place with the Best Glue Ever™. This is the fun part! Choose buttons, confetti, punch shapes, flowers, brads, etc! 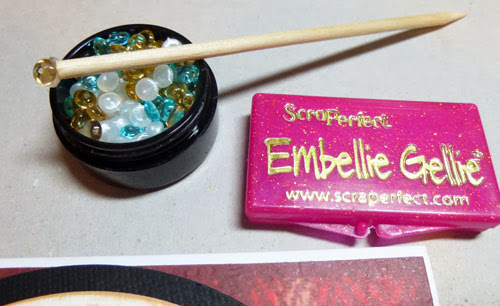 Use Embellie Gellie to pick up and precisely place embellishments--especially if you add teeny-tiny stuff, and the Best Glue Ever™ to embellish them with glitter, flock or other sparkly bling before adhering them to the card. Sign and Date the back of your card:) Slip into the matching envelope and mail. OPTIONAL: Instead of using white cardstock for the overlay, use vellum. See tips (below) for working with vellum. 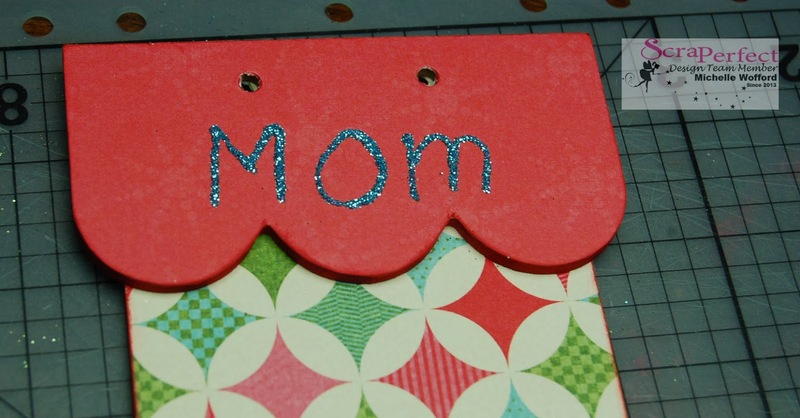 Buy packs of any occasion cards when on clearance, at garage sales or at Goodwill. These typically offer quality paper stock and perfectly sized envelopes. It doesn’t matter if it says Get Well or Happy Retirement because you will be altering them! In step 2, use “draft” setting when finalizing word placement will save ink. Also, keep using the same piece of paper-- inserting it in different ways to save paper. Pre-treating the optional vellum overlay with ScraPerfect Perfect Crafting Pouch™ is highly recommended for perfect, bold, crisp printed results without smearing. 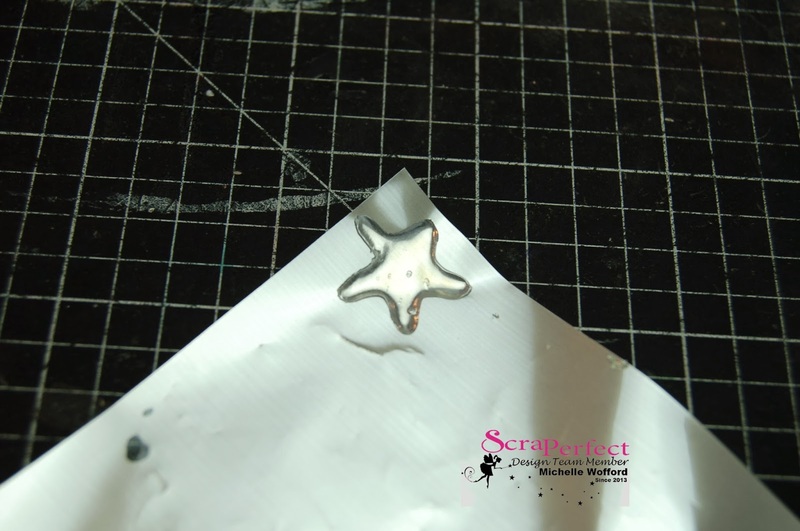 Apply the glue in a very thin layer to the entire piece of vellum. 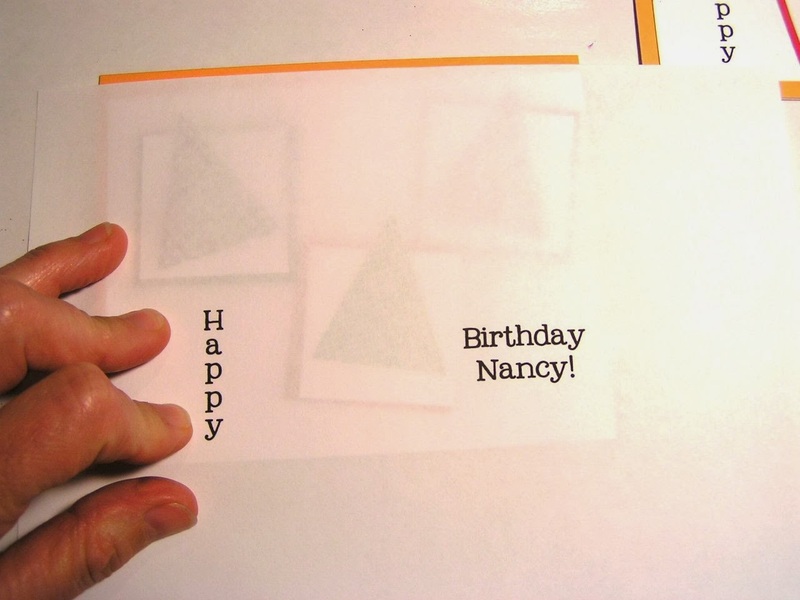 It will dry quickly--but make sure it is perfectly clear before pressing the vellum onto the cardstock. Apply glue to the vellum only where it will be hidden by photos, paper, stickers, flowers etc. 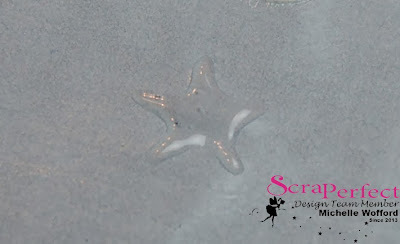 Deb here with some fantastic scrapbooking tips on how to use vellum. Vellum can be kinda tricky to use. 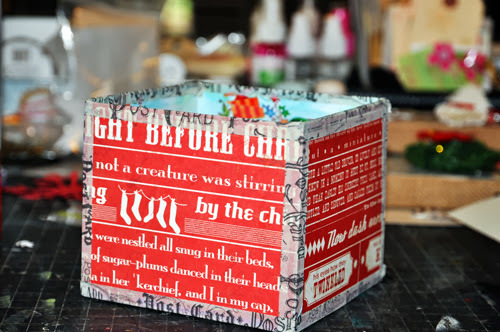 But with a little help from ScraPerfect, you'll turn into a vellum lover! 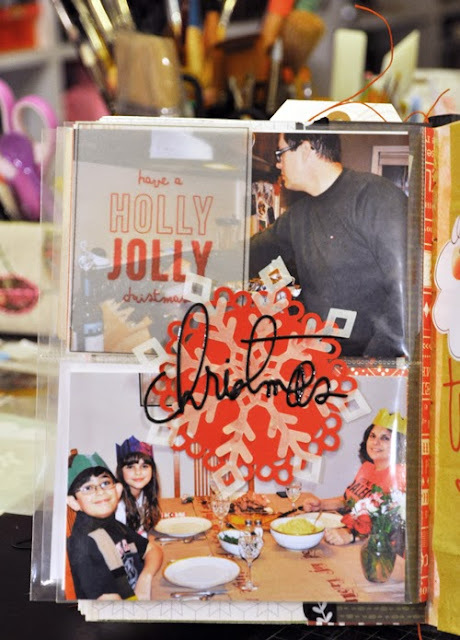 You can run vellum through your inkjet printer and make overlays. Vellum is semi-transparent and it's great for layering. Whatever you layer underneath the vellum will show through. However, vellum isn't the best surface for ink. It often smears in the printer and takes a while to dry. Unless you use the Perfect Crafting Pouch. The pouch stops bleeding and smearing of inks and helps them dry faster. 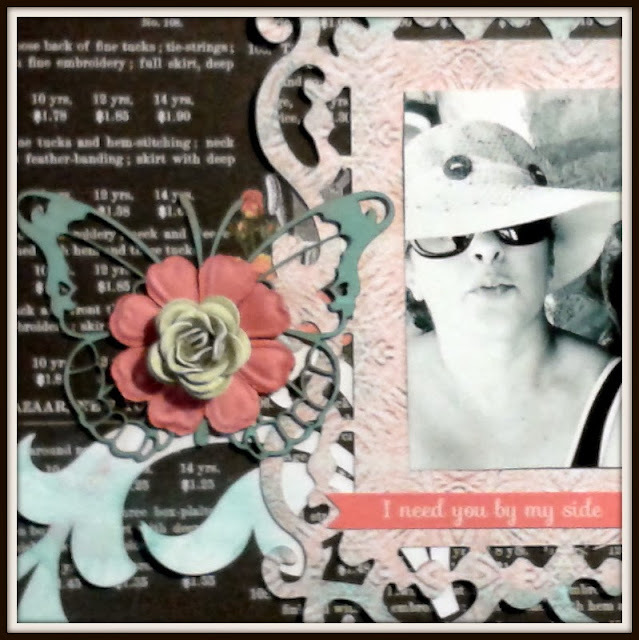 Here's one of the vellum overlays I made using a Two Peas in the Bucket digital kit. Adhering vellum can be a problem as well, due to the transparency. Most adhesives will show through the vellum - even the ones that dry clear will leave a "shadow." For adhering vellum you need the Best Glue Ever. What I like to do is use my finger to rub a thin layer of the Best Glue Ever all over the back of the vellum. It dries instantly and is invisible. 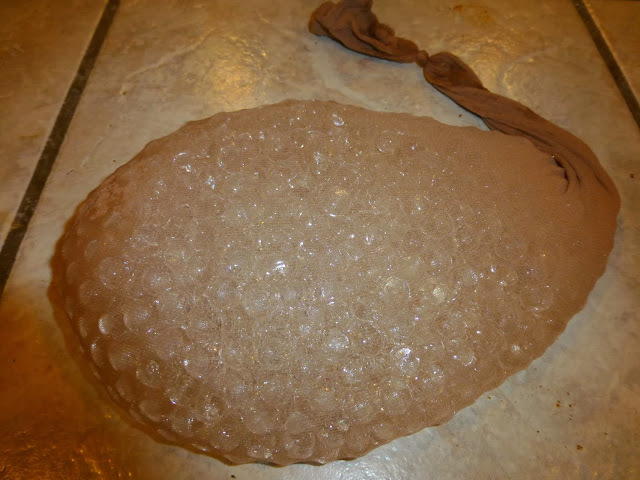 I used it to adhere the vellum snowflake. Today I show you a beautiful shabby chic layout featuring a girl, and her dog, with Prima Anna Marie collection is a beautiful and very colorful collection. 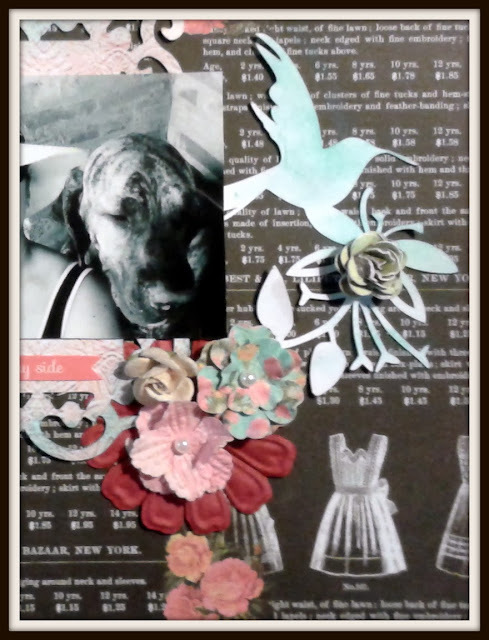 I used my Cameo for some cutouts as the frame of the picture. I love the passion the chalks and painted the chipboard butterfly with it. 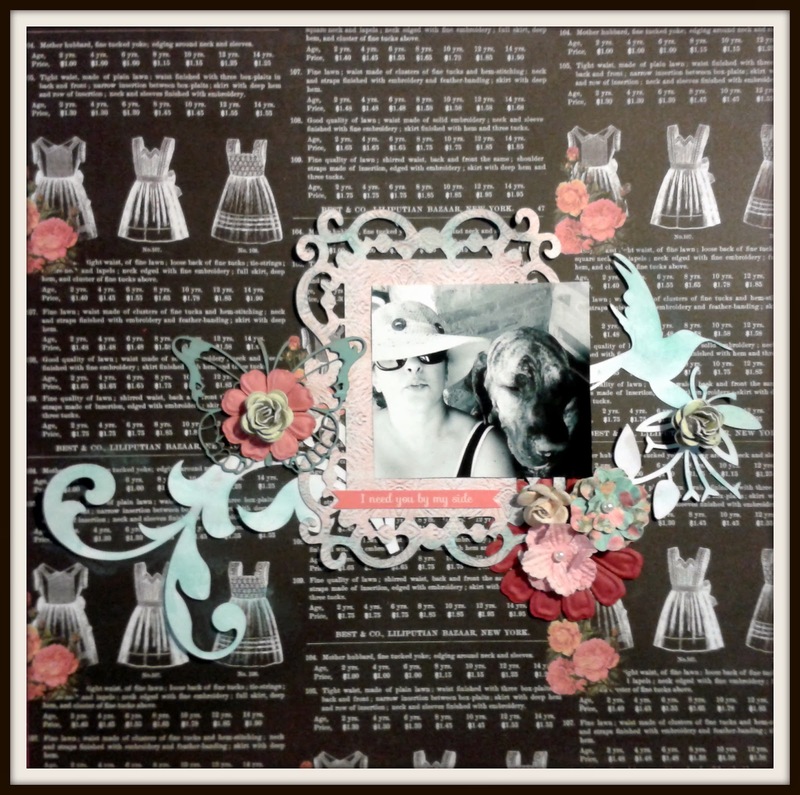 A clean layout using even some flowers. There are only a few days in 2014 and wish you all a wonderful year! 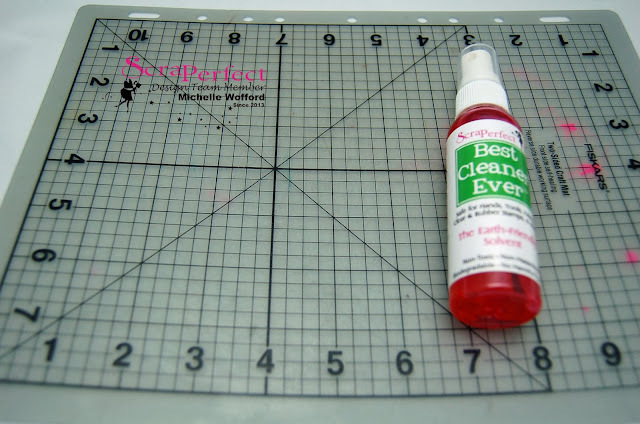 Greetings All it's Glen here showing you how to best pick up tiny thing's with a short but sweet post about the never ending uses for ScraPerfect products. I was working on a Christmas Panel and was going to use my large letter set for the first time. Cool set and cheap too! 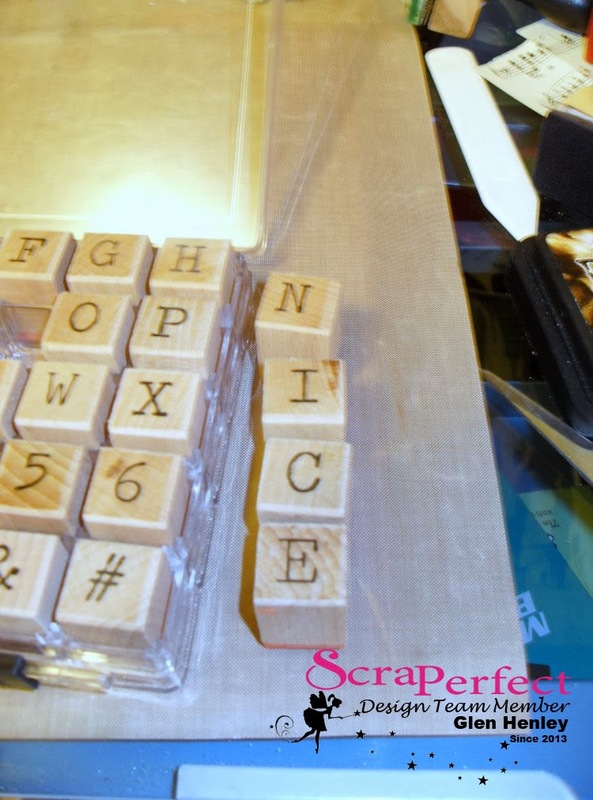 The only problem is my man hands are too big to get the letters out of the hard plastic box. I struggled for a minute or two and then looking around for a tool I found my Embellie Gellie and without even trying, it took the large wood mounted stamp out easily! You can see how I took out what I needed and the products saved the day once again. You really need to visit the ScraPerfect site and BUY! You will not be sorry you did! Thanks for visiting and Merry Christmas and a Happy New Year! 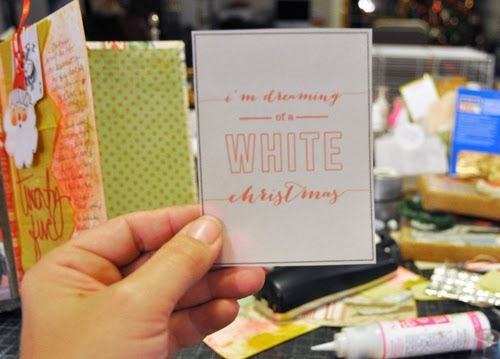 Steph here today showing you how to make a beautiful manly Christmas card. 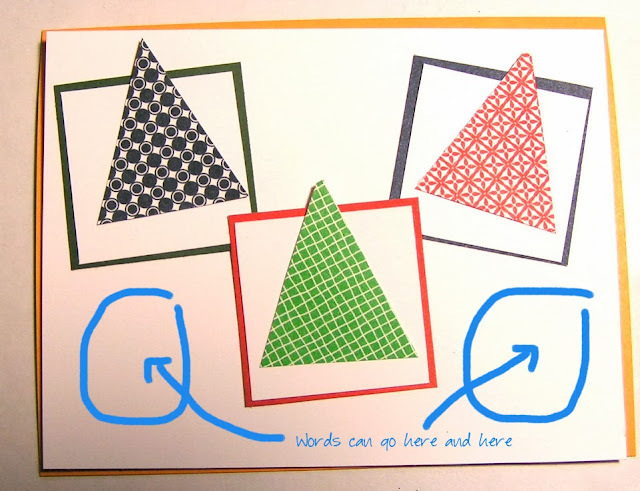 I found this really fun stamp recently and wanted to use it to create some Christmas cards. 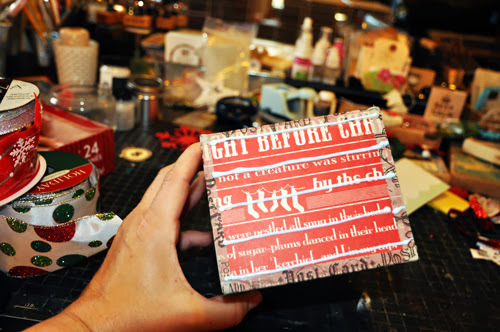 I began by inking the embossed tree paper, then wrapping some twine around it. 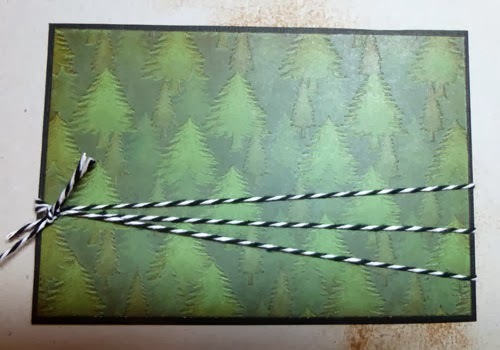 I added it to the red plaid (which happens to be the reverse side of the tree paper) and used this for the base of the card. 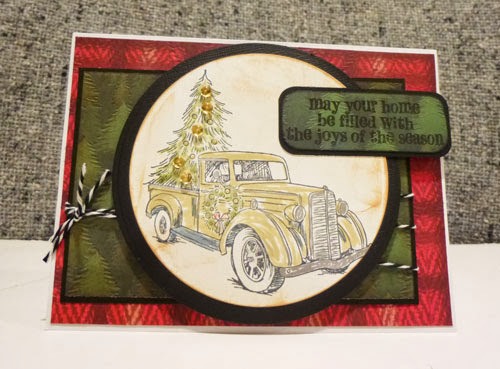 I stamped and colored the image, but wanted to add bling to the tree. Out came the Embellie Gellie which was perfect to pick up those little Robin's Nest Dew Drops. 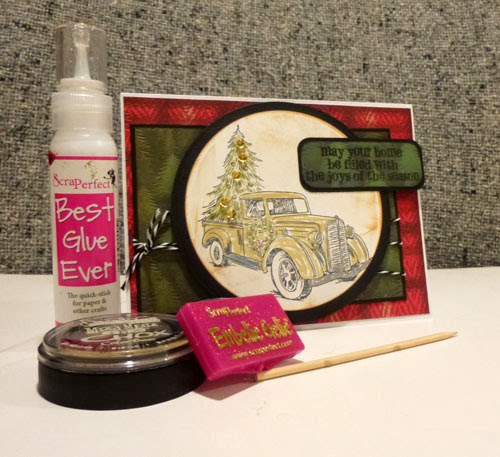 Be sure to pick up some of the Best Glue Ever and the Embellie Gellie for all your crafting needs. 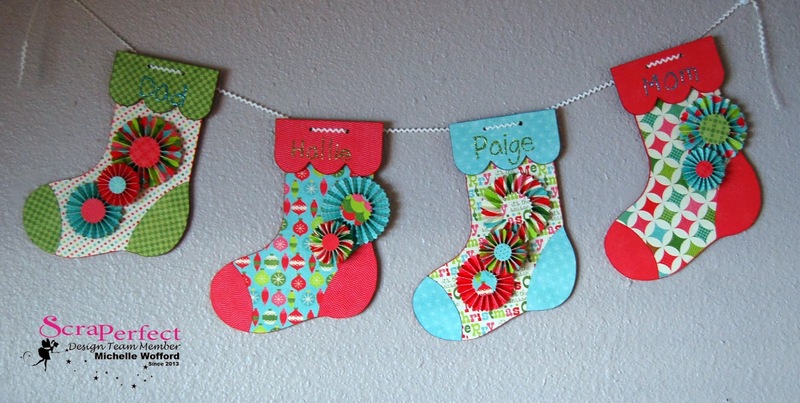 Michelle here to share how to make a beautiful Christmas stocking banner with you. I covered the wood bases with festive patterned paper and made some coordinating rosettes to embellish them. When it came time to add the names to the tops of the stockings I got stuck. That is until I realized I could use the Best Glue Ever and the No-clog Writing Cap to create hand written names. Start by swapping the regular tip on the Best Glue Ever for the No-Clog Writing Cap. Write out the name with the Best Glue Ever. Shake off excess glitter and you've got a custom name on your stockings. Hope you all have a Merry Christmas!!! My daughter Maddie and I were decorating gingerbread cookies and grabbed the Embellie Gellie™ (which safe for food and kids) such a handy, versatile tool, and decided to use it to help decorate our cookies! It was kind of addicting and so much fun being able to add such intricate details to cookies. In this video, we show you what we did and I've included the VERY easy recipe for the Royal Icing (NO raw egg whites!) which is perfect for these cookies or constructing gingerbread houses. You can spoon it or paint it on--we do both. 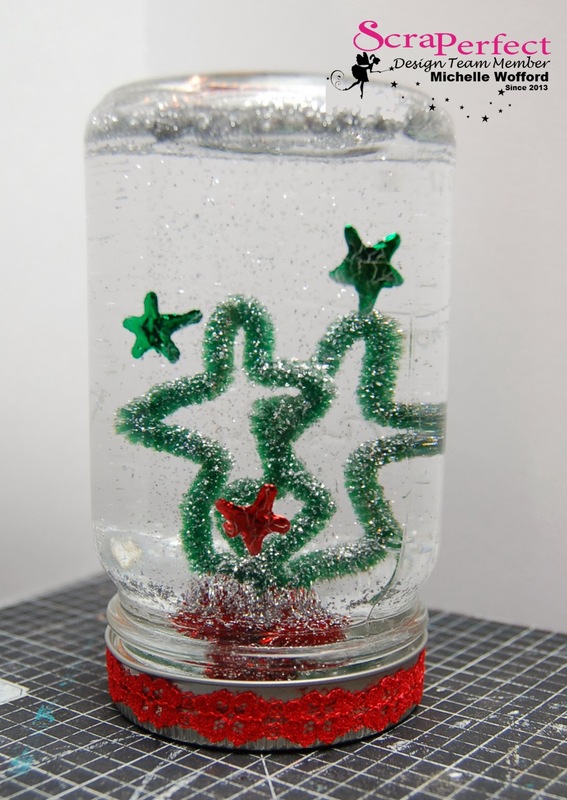 I also added green food coloring for trees which are decorated with white snowflake and red dotty candies. PS I'm really sorry the video is so dark--our lighting was not the best for filming. Here's the before photo of my craft mat after a project, you can see the streaks of clue on the mat. Spray enough of the Best Cleaner Ever to get a good coverage and blend a little with your finger. Let the cleaner sit for a few minutes and wipe clean with a paper towel. And there you have it, the Best Cleaner Ever is quick and easy and gets tough to clean surfaces clean with little effort. 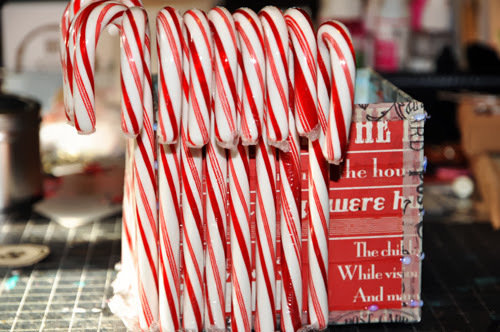 How to Make a Gorgeous Candy Cane Centerpiece. 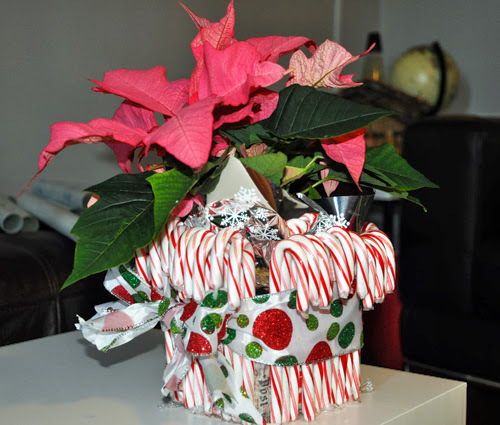 Need a quick container for a present or centerpiece, here's how to make a gorgeous candy cane centerpiece! Best Glue Ever to the rescue! I picked up this box for about $2. 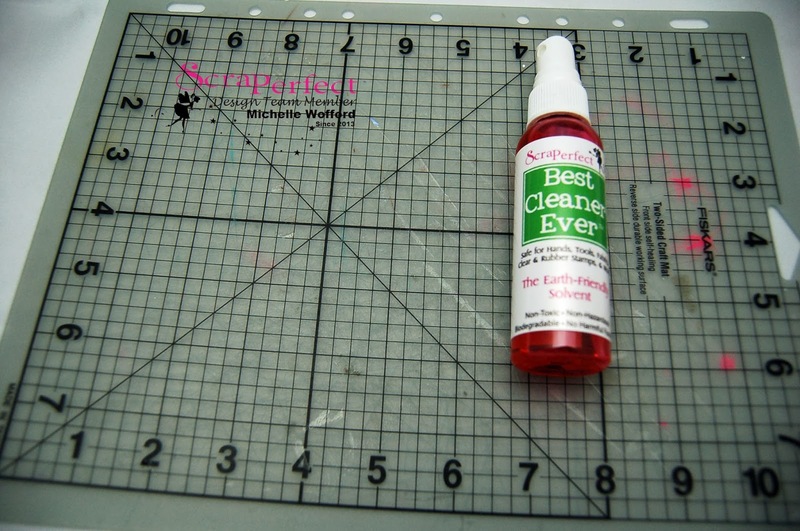 I didn't really care for the design, so I grabbed a piece of pattern paper, trimmer and my bottle of the Best Glue Ever. 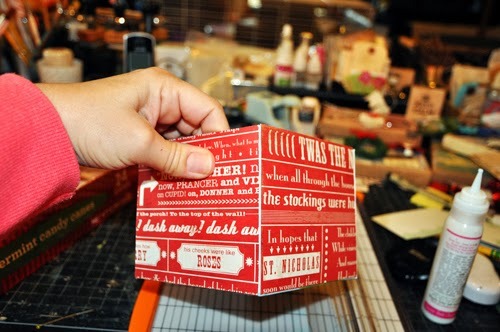 I cut squares to fit each side, then used the Best Glue Ever to adhere it to the box. To cover the ends, I used some Tim Holtz tissue tape. I love the designs on this tape, but not that it isn't the stickiest and will sometimes peel off my projects. So, I just added a thin line of the Best Glue Ever to each edge before placing the tissue tape. And here's the box. 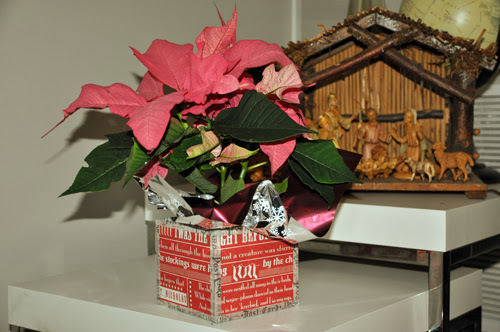 This is a quick way to dress up a display for flowers, add candy or add a present. Now, I wanted to add an extra layer to this box. Something whimsical. So I used the Best Glue Ever to make thick lines all around the box and I let them dry until tacky. Once they were dry, I added candy canes. Because the plastic wrapper is well, plastic, you won't get a perfect long-lasting hold. 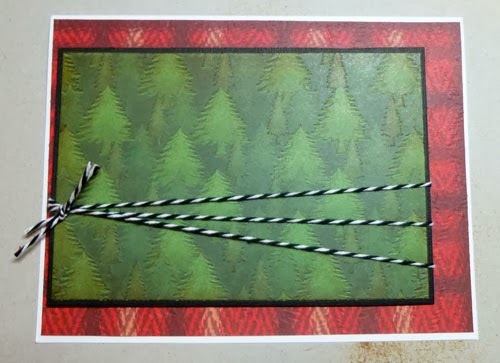 But that isn't necessary as I want to easily remove the candy canes so we can eat them! Good morning everyone, Marilia here today showing you how to make a stunning advent calendar for Christmas..
Christmas is already knocking on our doors and my niece asked me to create an advent calendar. As I love recycling, I painted this plastic tray and mounted the calendar in it. 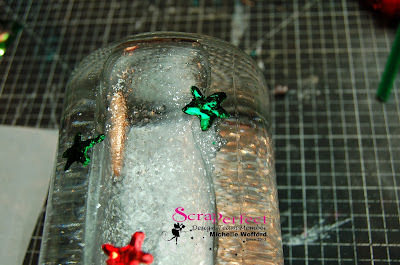 I used stars and golden plastic balls all glued with ScraPerfect's Best Glue Ever. Instead of foam tape I usually use cardboard to add to the volume of my projects and it adheres very well with the Best Glue Ever. I wish all who pass by here, Merry Christmas! 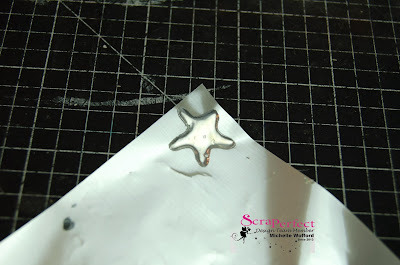 Hello, Michelle here to show you how to make a custom shaped glue spot to use to create a foil transfer using The Best Glue Ever and Foil sheets. These foil transfers are great for surfaces that may be difficult to stamp on. 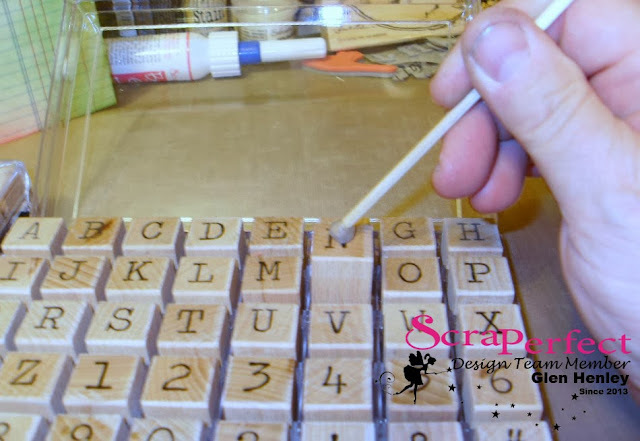 Start by using The Best Glue Ever to create a custom glue spot, this could be a shape or a word. 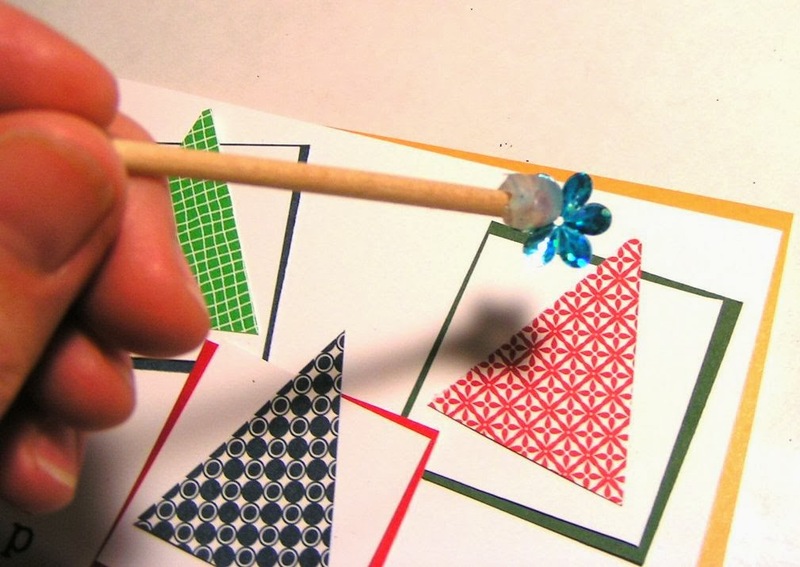 The tip on the Best Glue Ever is fine enough that you can create little shapes or use it as a pen to write out words or phrases. I had a little trouble with the foil transfer at first. 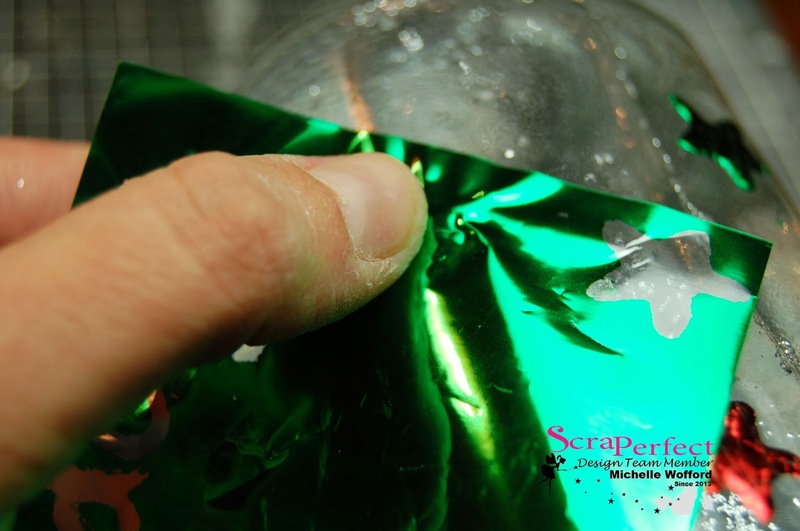 If the glue spot is too thick it is hard to transfer the glue with the foil intact. 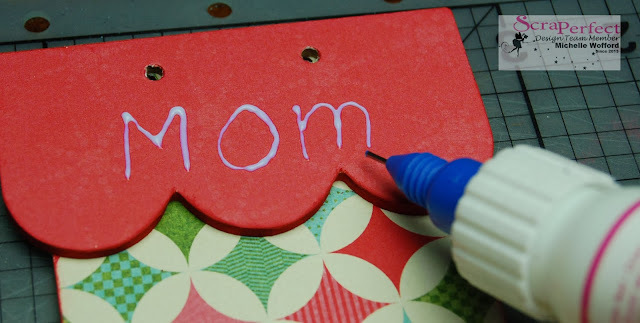 Make sure when you create your glue spot image you use a thin coat of glue, let it dry until it is clear and tacky to the touch. 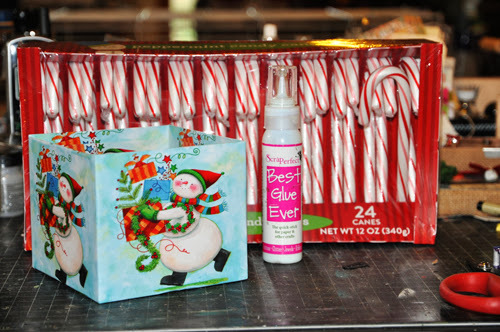 Once tacky take a piece of the foil and rub over the glue spot. 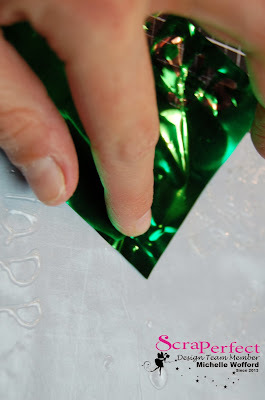 Make sure you put good pressure, and rub all around the edges so the foil is adhered to the glue. When you peel the foil with the adhesive off the non stick sheet do so quickly and it should remove easily. Here's a look at the back side of the foil with the glue spot attached. Place the glue backed foil on a mason jar and rub to transfer the foil covered glue shape to the jar. 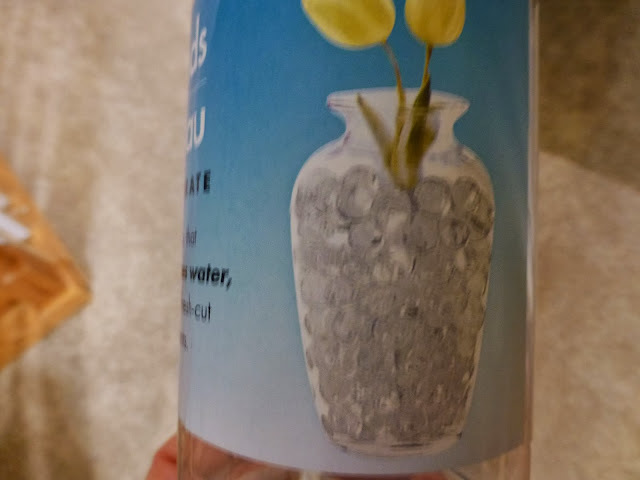 Make sure to give it a good rub and then remove the foil, you should now have an foil image transferred to the mason jar. 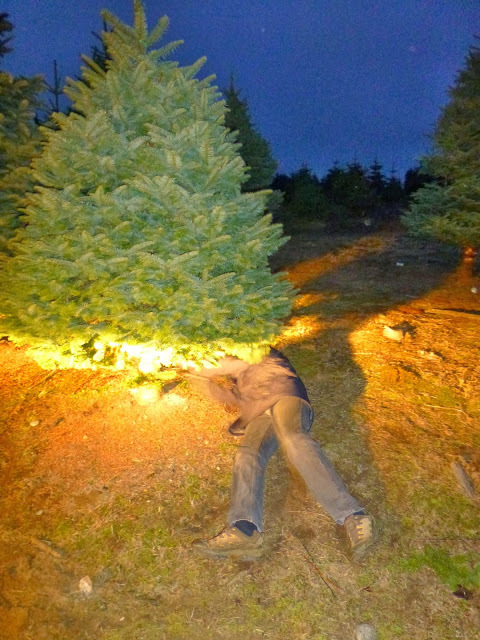 How To Prevent Spills Under Your Christmas Tree (Cheap and Easy)! 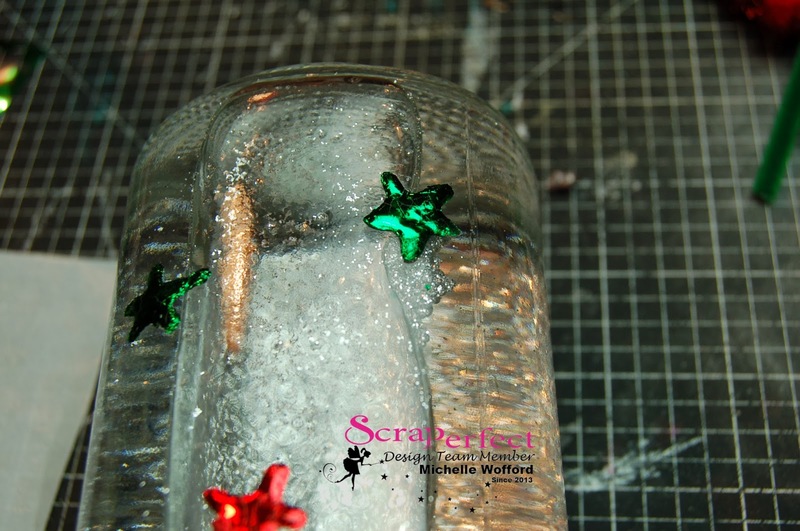 Amy here with an inexpensive non-craft way to stop the water spills under your Christmas Tree. Timely tip if you celebrate the holiday with a tree, and you do the daily "whose turn is it to water the tree????" routine. 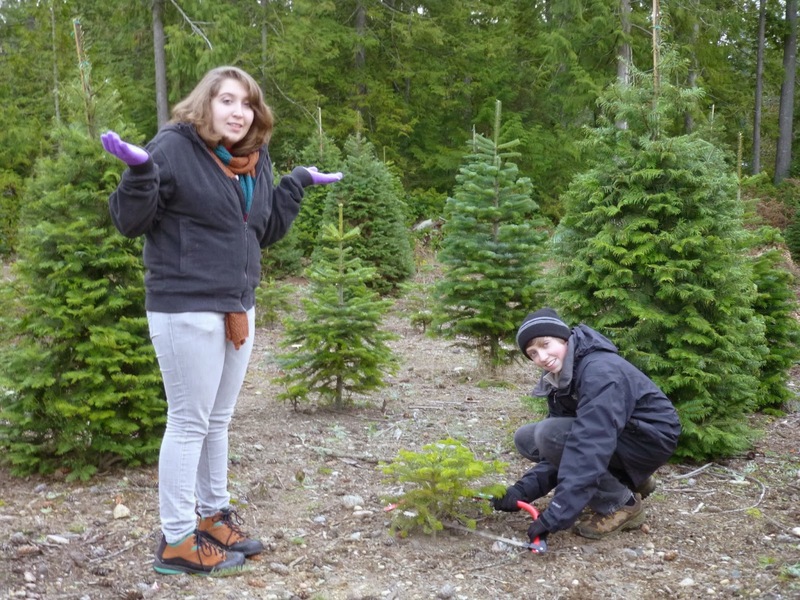 This year, we decided to get a much smaller tree...But which one???? Actually, by the time we actually drove to our favorite farm (getting distracted and lost), it was dark! 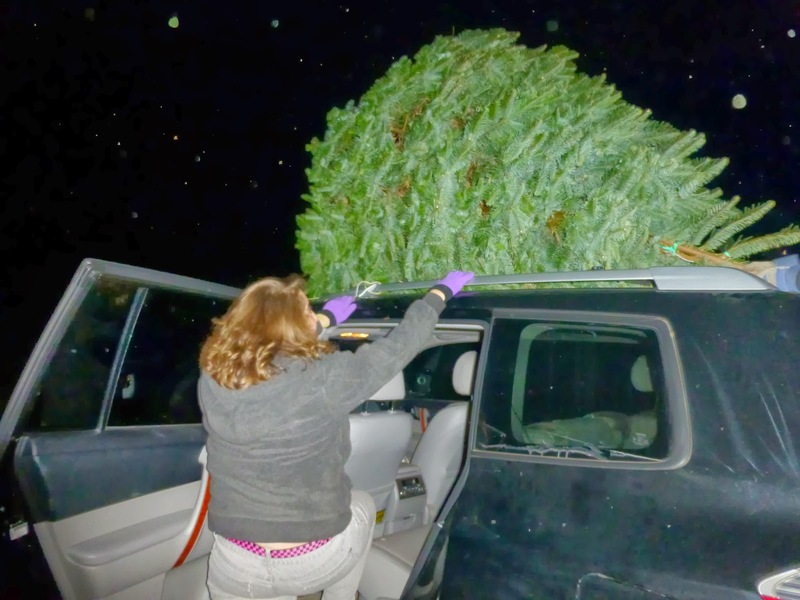 Lucky for us, Bacon's has such amazing trees, you can't go wrong even if you choose one and have to cut by flashlight! I've discovered that if you place hydrated water pearls (sold for fresh cut flowers in vases) into the tree stand, you won't have to add water very often, and it won't ever totally dry out. I found two kinds of pearls really cheap at the Dollar Tree. 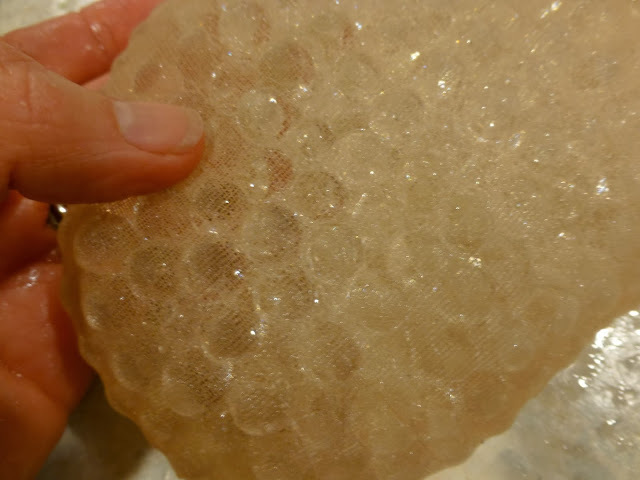 The first came already hydrated and look like clear pearls. They will get bigger in water. 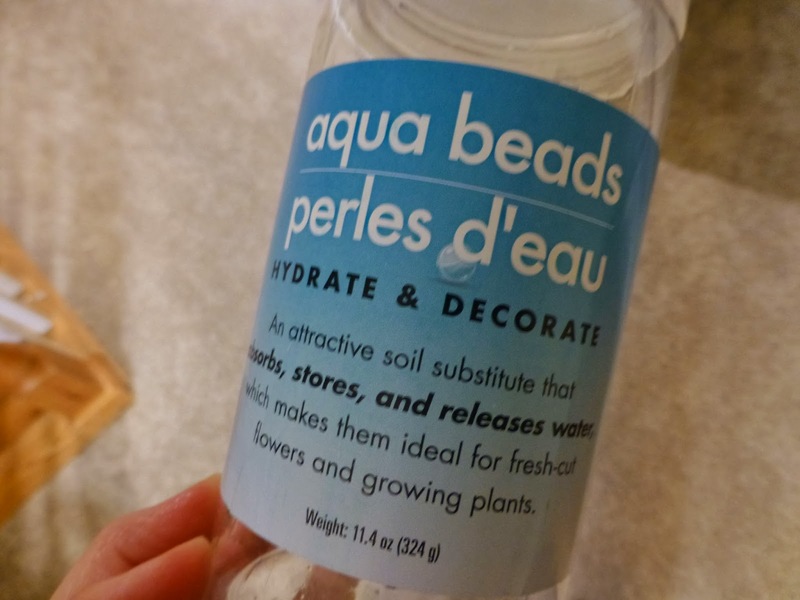 The second come with THREE packs of seed size beads. Place them in water and wait a couple hours and VOILA! You'll have full size beads! 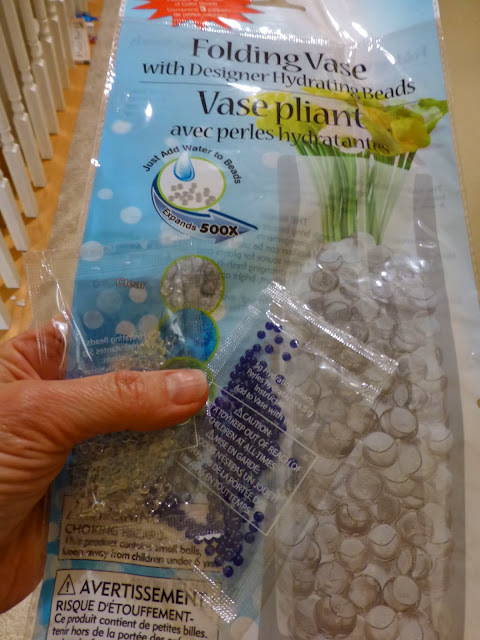 You can pour them dirctly into the stand and in the new year when you dump your tree water, you can either toss them outside or add them to your houseplants pots. This year, I put two batches in a kneestocking and knotted the end. In fact with two socks, it would probably fill the entire stand! Using the kneestocking, I plan to simply remove the "bag" and perhaps let it dry out for next year. When the beads are left to air dry, they return to the seed size balls.